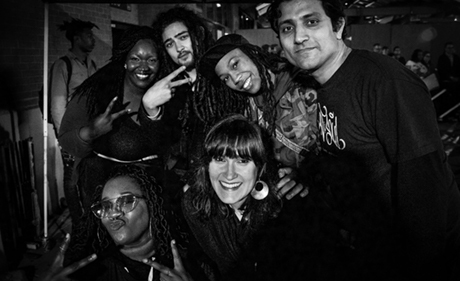 Join us for a late night creative jam with The Sanctuaries’ arts team, the Art Munks, as we combine the visual arts, spoken word poetry, and hip hop with the sounds of soul, folk, and classical Indian Carnatic music. This improvisational call and response session will dig deeper into the social issues and challenging questions posed by The Arsonists, and might inspire you to discover your own capacity to make a difference! THE SANCTUARIES is the first interfaith arts community in the country. We create safe and sacred spaces, or “sanctuaries,” for artists of diverse racial and religious backgrounds to claim their voice, build trust across lines of social division, and work together on artistic projects that promote social change. In the process, we seek to challenge social bias and inspire new models of multicultural collaboration.